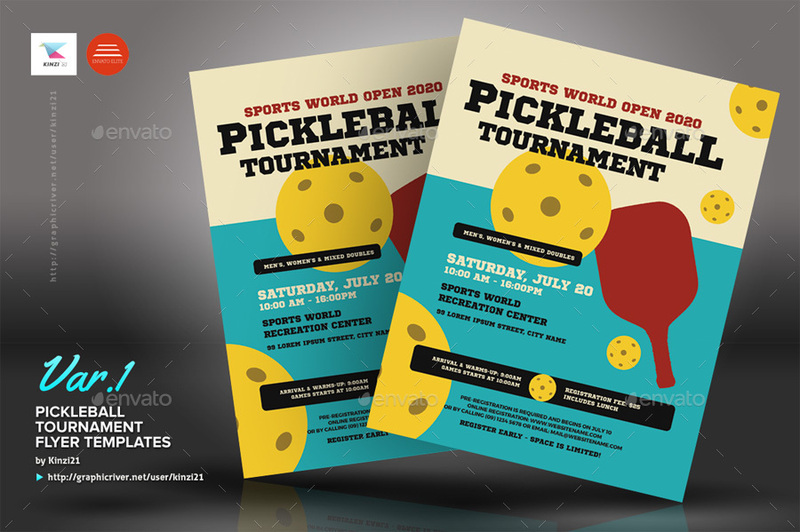 A flyer template pack perfect for promoting a Pickleball tournament, games, or training camp. 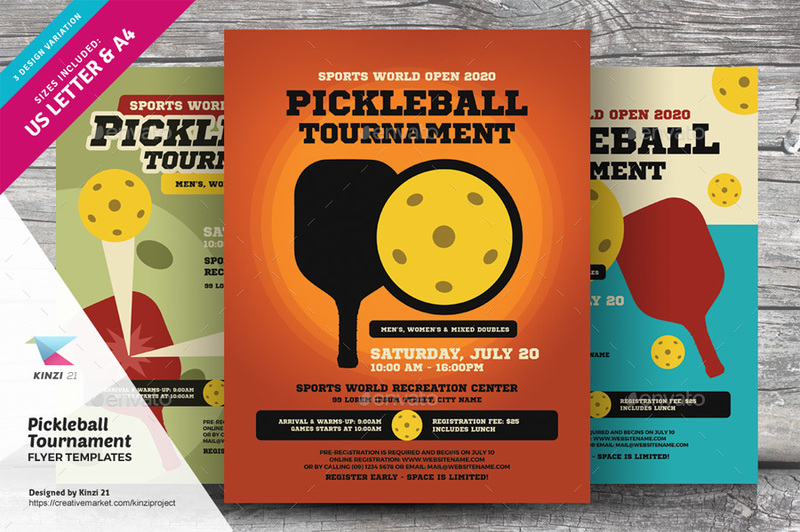 Available in three design variation and in two print size formats (US-letter and A4), these templates are fully editable (you can change sample texts, color-schemes or place a photo or image on the design). 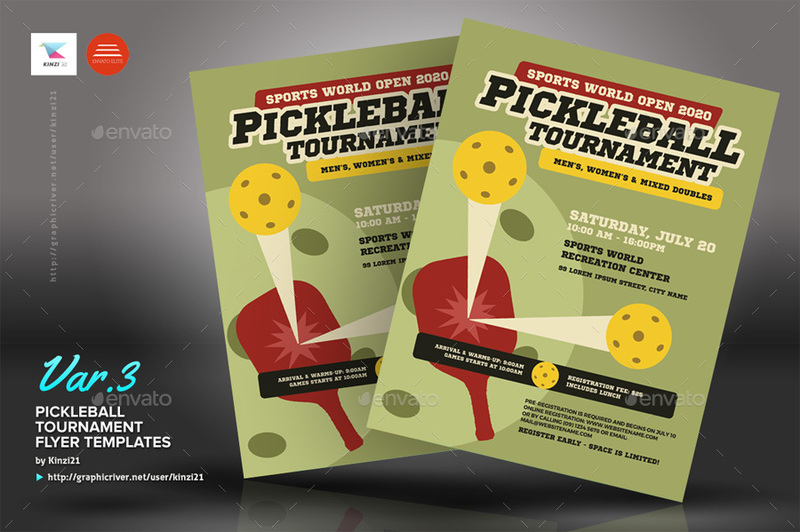 - These templates can only be edited in Adobe Photoshop CS2 or later version. So make sure to check if this program installed on your system before deciding to purchase it. - You must have a basic or working knowledge of Adobe Photoshop to edit the files. 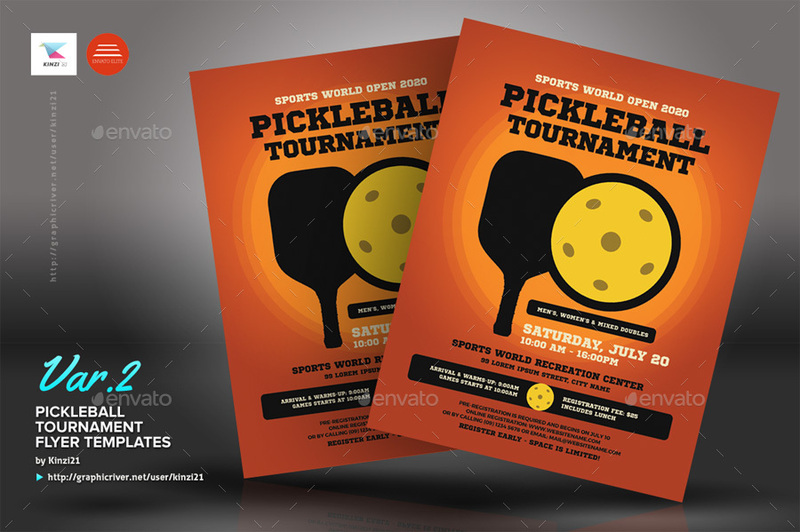 If you have purchased these templates and very happy with it, I really appreciate if you could have some time to rate it and leave a positive comment. Many thanks.